Ben Nye's most popular neutralizing shades are included in these 3 six-color wheels! Apply to disarm redness, tattoos, blemishes and other discolorations. Size: 1oz / 28gm. Yield 125-300 applications per six-color wheel. **Please Note: CRC takes every measure to ensure an accurate representation of product color, though we cannot compensate for the viewer's monitor or color settings. Actual product color may vary. Camera Ready Cosmetics Is One Of The Largest Authorized Dealers Of Ben Nye Products In The USA! Good for covering up. Creamy. 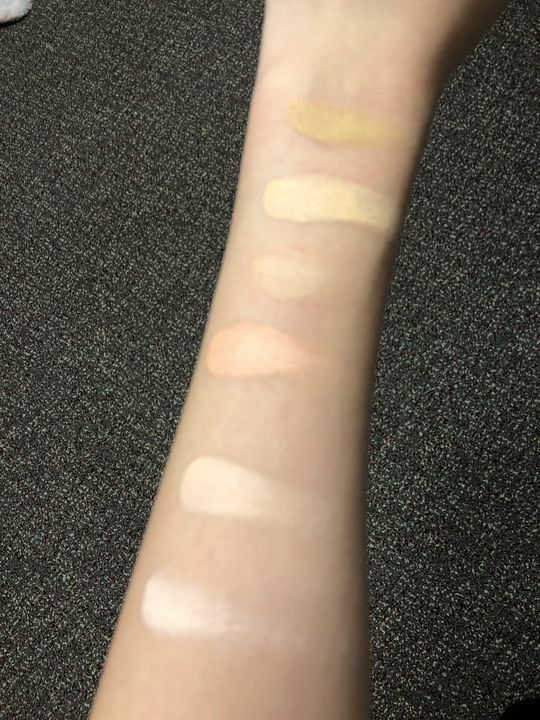 Faith N. Reviewed by Faith N.
This is absolutely one of the best color correction with concealer function I have ever used! The formula is so creamy and buttery. It won't dry out on the skin. Blend well and it will be invisible but only leave a better complexion. I love this product. It does not look cakey and a little goes a long way. I would definitely recommend this product. I love Ben Nye.